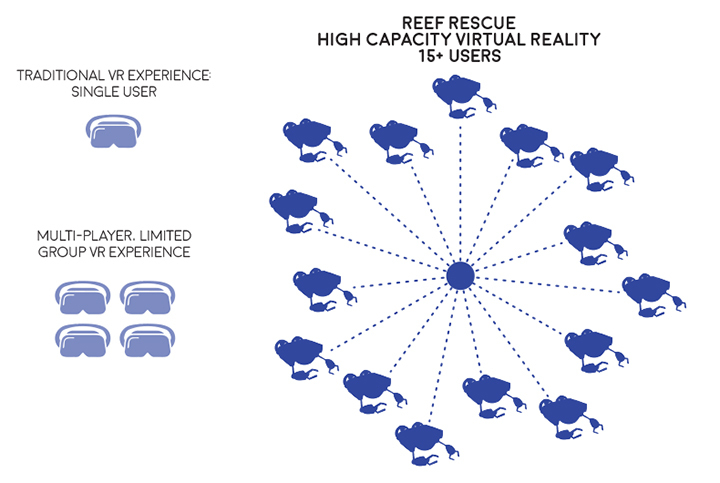 What is High Capacity Virtual Reality? Traditional virtual reality experiences typically accommodate no more a handful of guests at a time. 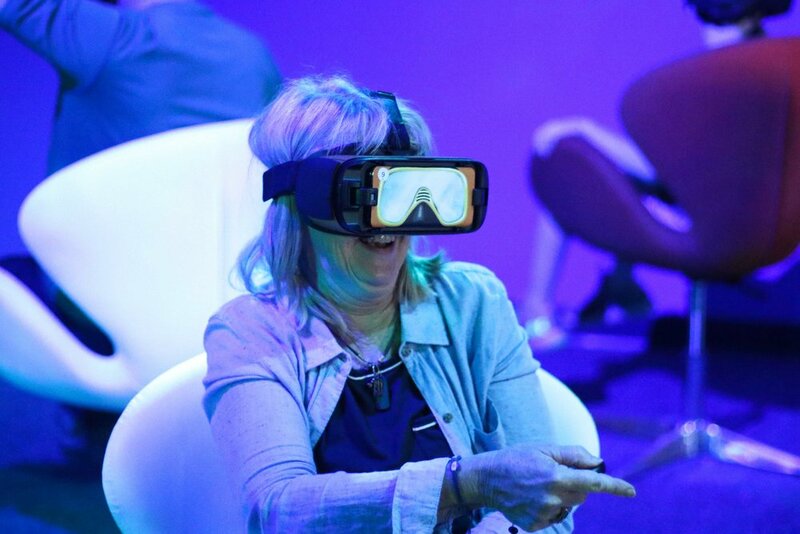 Super 78 has developed a proprietary multi-player High-Capacity VR system that allows 15 or more guests to share a group experience. We wrote the HCVR code as part of the development process for Reef Rescue, the first experience to be powered by this system. The Problem: Coral reefs worldwide are bleaching. This indicates that they are sick and on their way to dying. Rising water temperatures, pollution, overfishing and other man-made causes are responsible. One quarter of all marine life depend on coral reefs for food and a safe place to raise offspring. Some scientists estimate that if nothing is done, we could lose all of our reef systems by 2050. Super 78 was inspired to raise awareness about this crisis as quickly and as effectively as possible. That led us to develop Reef Rescue. Starring Sting, a Great Barrier Reef ray, and his friend Bob, the triggerfish, Reef Rescue is a transformative virtual reality experience that communicates the global coral reef problem and its solutions in a really fun and engaging way. Guests take control of their own R.O.V.E.R. 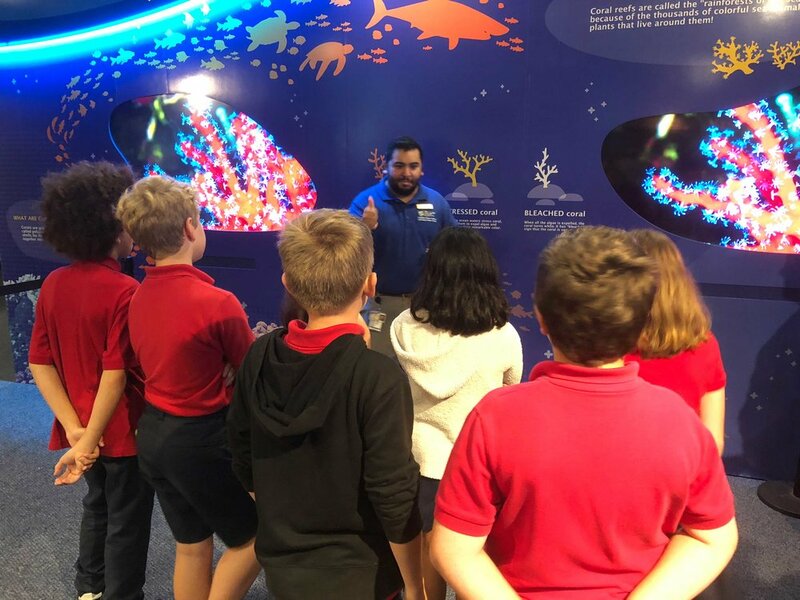 mini-submarines and train to become “Reef Rangers.” Together, they work to restore a sick coral reef to health in three “mission segments:” they clean up trash, plant healthy coral branches and feed fish swimming above reef!